Lately I've been obsessed with eye shadows. All kinds. Loose pigments, palettes, singles. You name it, I'm drawn to it. Some of my favorites are from Jesse's Girl, like their 9-pan palettes! 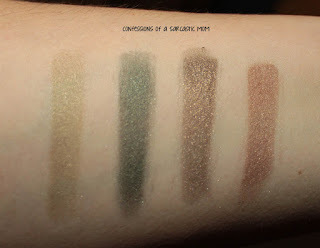 Right now, I'm all about The Eyes Have It, a palette featuring shades of greens and browns. 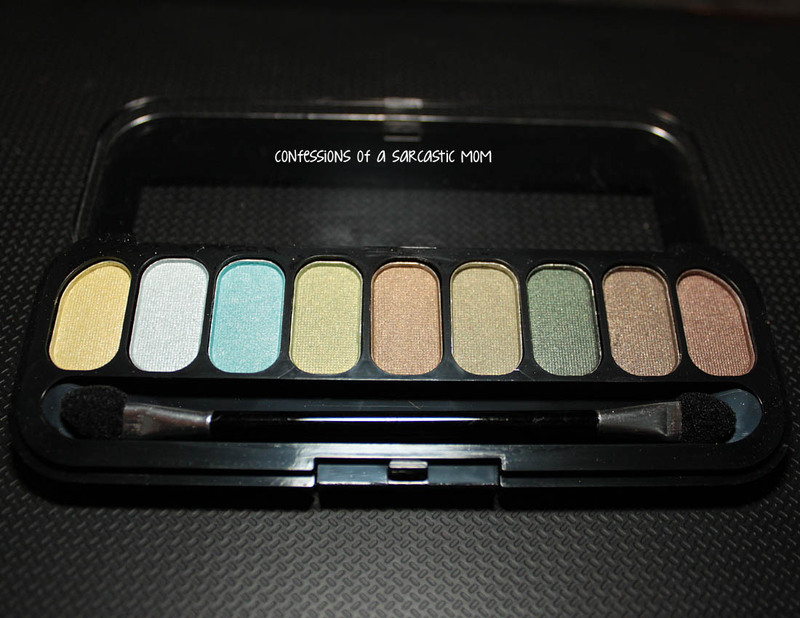 This is perfect for when I want my hazel eyes to pop out some greenish hues! These palettes are great for travel! 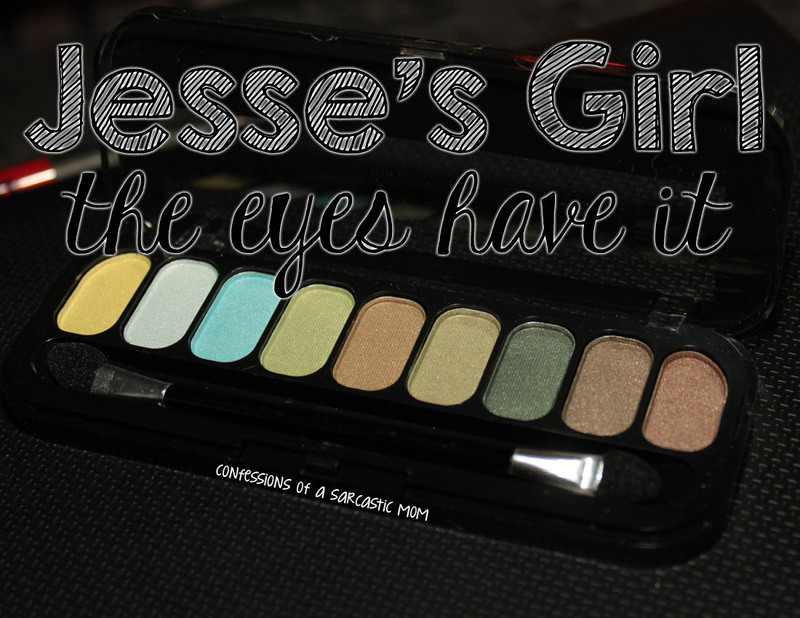 All the shades go well together, and you can come up with endless eyelooks. 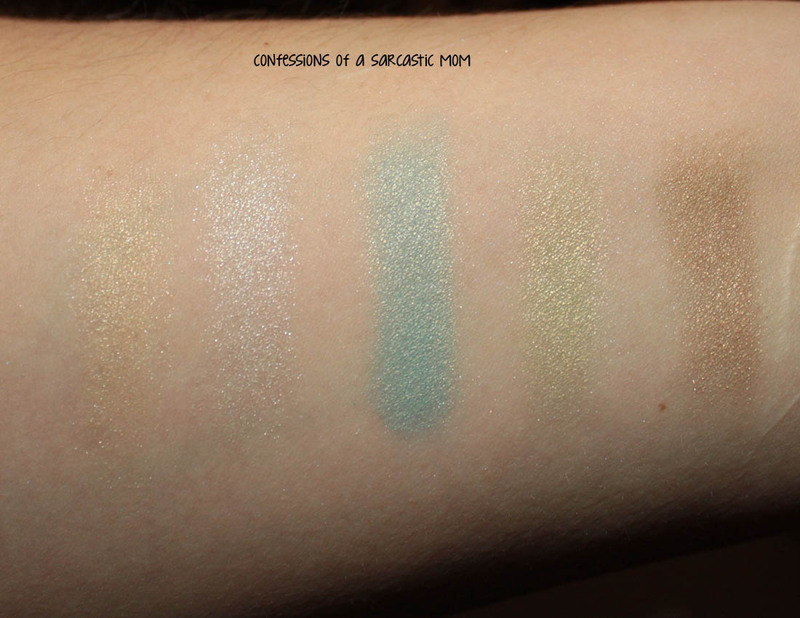 Some of the shades aren't as pigmented as others, but across the board, they are pretty nice. These palettes are only $3.99! I have a few of them, and I love them! I also really like the Pure Pigment Eye Dusts! 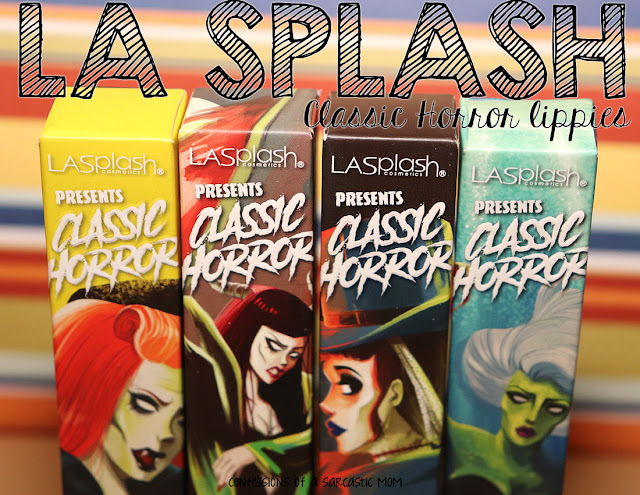 I have quite a collection of the eye dusts, and I also enjoy the lipsticks and the nail polish... oh my, I can't even pick a favorite product! Have I mentioned that the eye shadow primer is my favorite?